This is a look back at a post written at the end of May, 2016. 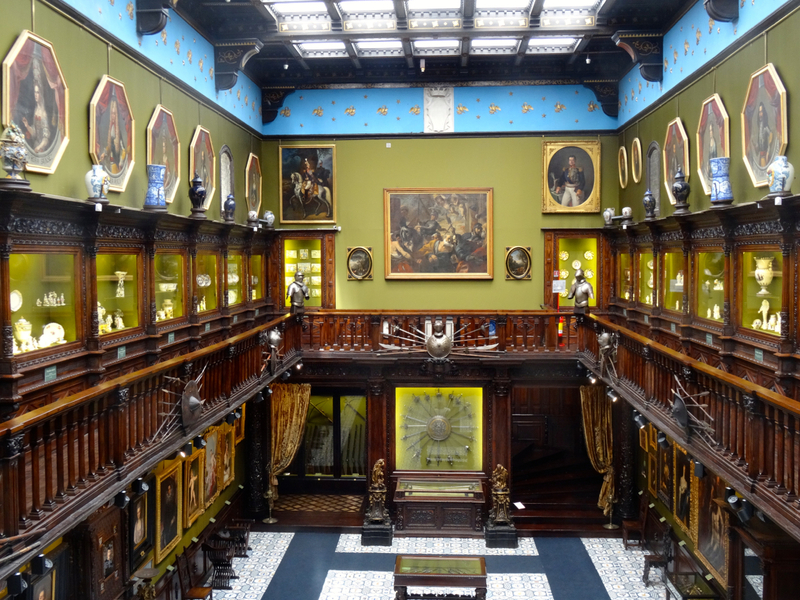 It’s about a small museum in Naples, Italy whose founder sought to save the skills and treasures of craftsmen before they were buried by the Industrial Revolution. There is care and pride in every detail. The best treasure comes in chests, compact and crowded, that brim with what’s been most precious … and there should always be scars. The Museo Filangieri is a chest like this. This piece, first published in April 2016, was written after my first visit to the Madre in Naples. 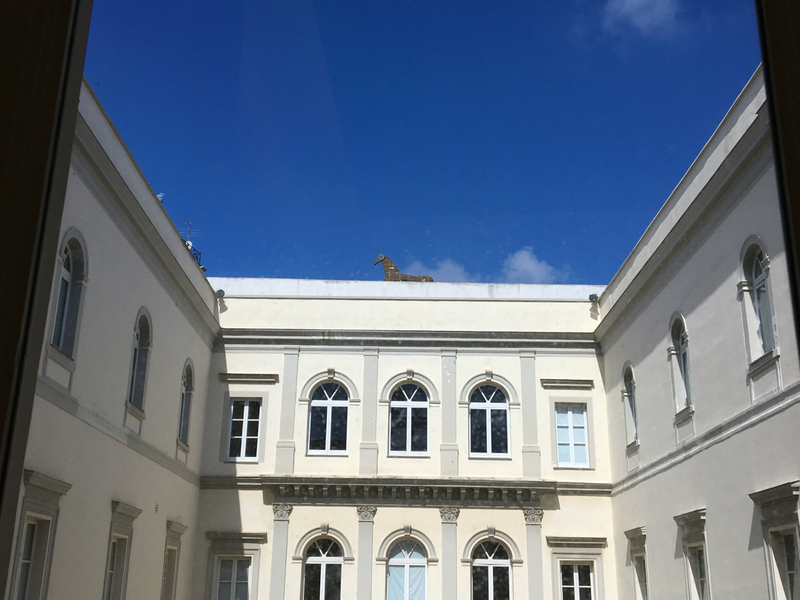 I loved the museum’s calm space, the range of its exhibits … and its roof terrace. Art is a place to be, a place that tries to reach us, provoke us. It swallows the rules, the clocks, the to and fro, and waits for us to respond. 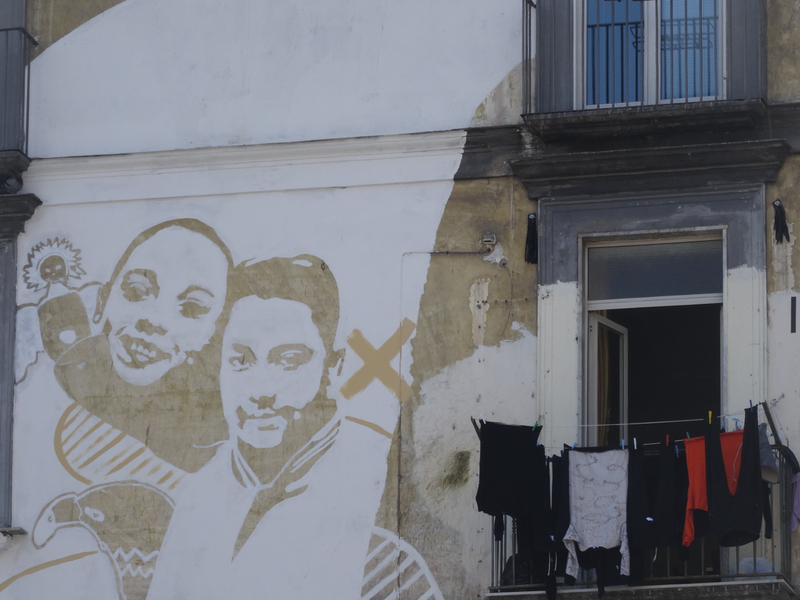 Much of Naples itself is art – ancient, modern, faded, alive – but it does not have the quiet, the spaces between, that the Madre brings to its displays. This is the luxury of a visit to the Madre, the chance to leave the hectic city and step into its calm. 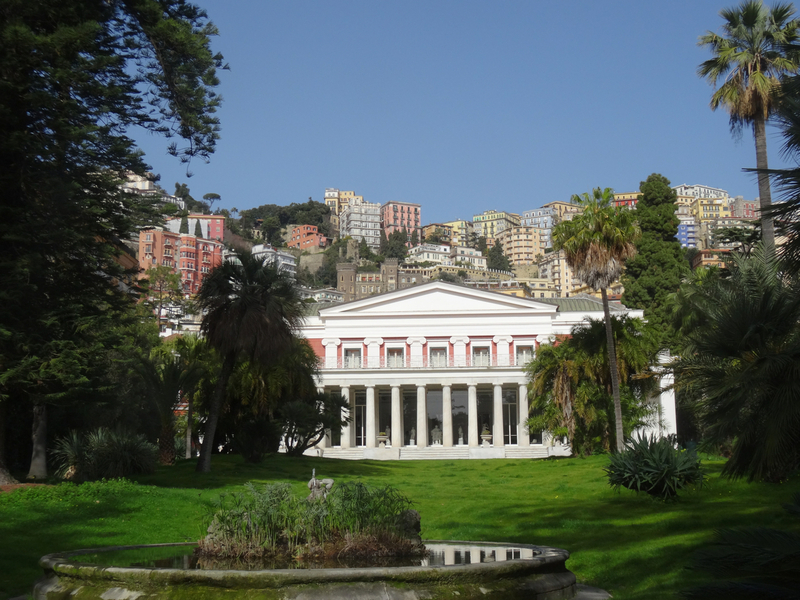 A look back (first published 9 March 2016): the Villa Pignatelli – owned by the Actons, the Rothschilds, and the Pignatellis – is now a museum and, together with its carriage display, well worth a visit if you’re lucky enough to be in Chiaia in Napoli. This villa – white and recently restored – sits in the lap of one of the most crowded cities in Europe. It has the blue sea to its front, colour behind, and is wrapped in an exclusive coat of green. Its striking, classical profile is very different to the buildings that now surround it. A look back (first published on 13 December 2015): I have made quite significant changes to this post – the skeleton is the same as the original but I have replaced much of the Angevin history with photographs. By the end of our two years in Naples I had visited this charterhouse so often that my library of photographs is more than my blog can hold. I hope you enjoy them, and that one day you’ll be able to visit the Certosa di San Martino yourself, because I know that my camera and I can’t do it justice. 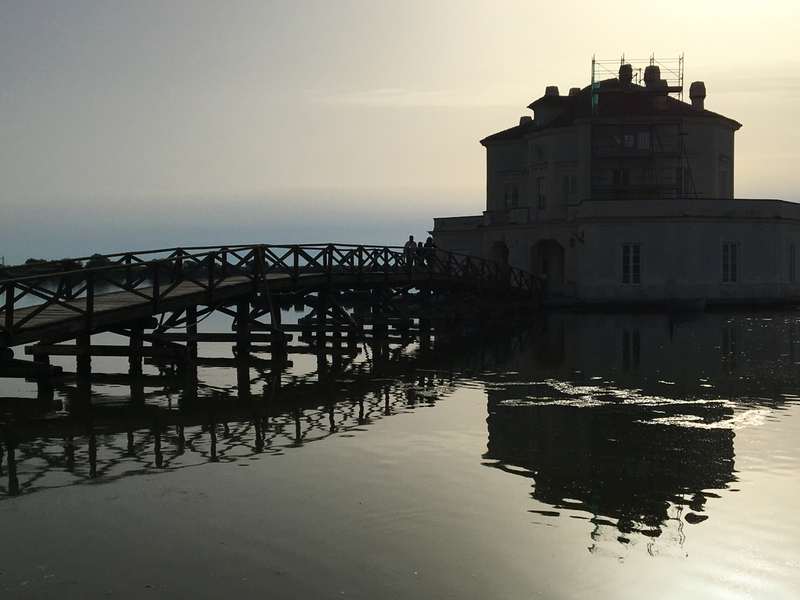 There are two chunks of prime real estate in Naples, two properties that swagger largest when you look up at the city from the sea. They’ve been together for centuries. 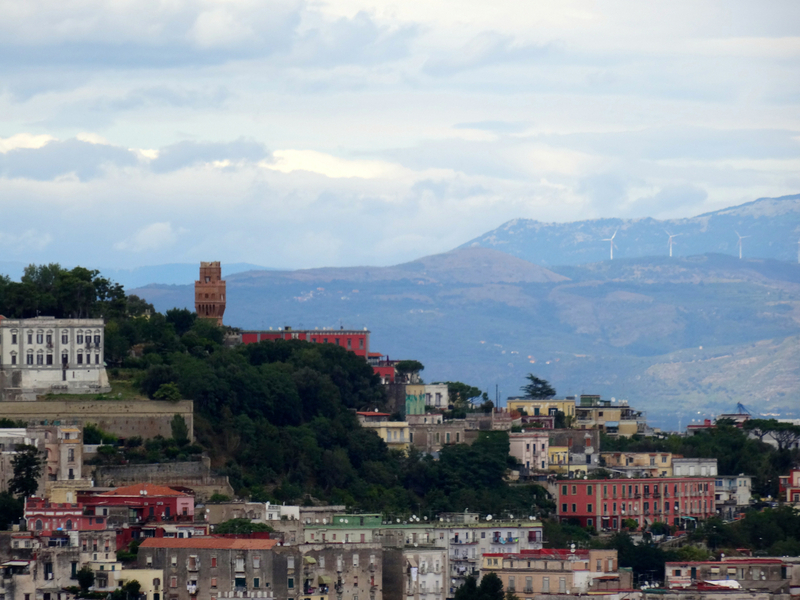 The highest of the two is Castel Sant’Elmo – the star-shaped fortress that looks like it’s been carved out of rock by a gifted sledgehammer. 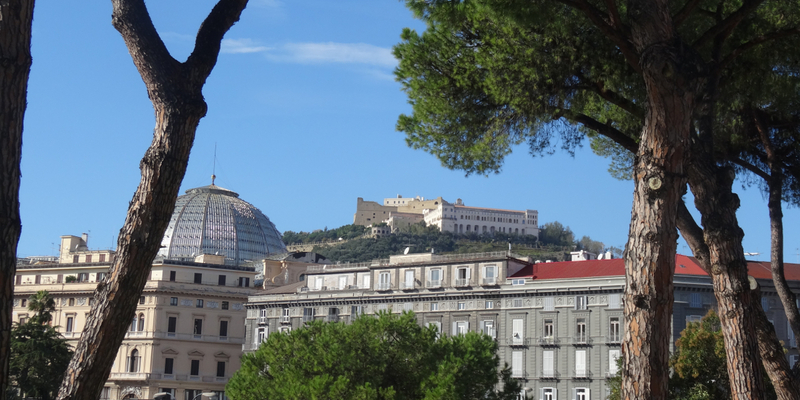 Right next to it is the Certosa di San Martino, proud when seen from below, but less obvious when approached by road.